October 11 – Belgian football has been rocked by a wide-ranging investigation into financial fraud and match-fixing. The federal prosecutor’s office said that 44 searches of premises in Belgium and 13 abroad had been staged by 220 officers in Belgium, France, Luxembourg, Cyprus, Montenegro, Serbia and Macedonia. 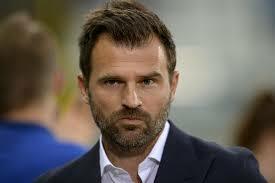 Club Brugge coach Ivan Leko (pictured) spent the night in jail and top agent Mogi Bayat was also arrested. The co-ordinated police action was undertaken across seven European countries as authorities investigate corruption in Belgian football. The scandal has shaken Belgian football to the core. At the World Cup in Russia, Roberto Martinez’s team won acclaim for their playing style, defeating both Japan and Brazil in spectacular fashion in the knockout stages to finish a best-ever third. Authorities confirmed the arrest of agent Mogi Bayat, who has long enjoyed a strong network in Belgian football circles, in particular at top clubs Club Brugge, Anderlecht and Standard Liege. Bayat had a longstanding relationship with Herman Van Holsbeek, the former manager of Anderlecht. The latter was detained for questioning, but released later on Wednesday. Bayat made his first strides in Belgian football as the managing director of Sporting Charleroi. After a conflict with the club’s president, his uncle Abbas Bayat, he left Charleroi and became an agent. This summer Bayat was involved in the moves of Brugge’s Anthony Limbombe to Nantes, Gent’s Samuel Kalu to Bordeaux and Anderlecht’s Lukasz Teodorczyk to Udinese. Bayat helped clubs to sell on players they no longer wanted to keep on their books. Agent Dejan Veljkovic is another key suspect in the scandal. The 48-year old Serbian had strong ties with Lokeren and KV Mechelen. In 2011, he brought Milan Jovanovic, a former Liverpool player, and Dieumerci Mbokani to Anderlecht. Belgian media also reported the detentions for questioning of agent Karim Mejjati as well as Ivan Leko, the Croat coach of Champions League contenders Club Brugge, two journalists and FIFA referees Bart Vertenten and Sebastien Delferière. All detainees were questioned as suspects and not as witnesses, Sporza media reported. The federal prosecutor later confirmed the report. The Brugge coach had to spent the night from Wednesday to Thursday in jail in Hasselt after being subjected to a list of 20 questions, but his lawyer Walter Van Steenbrugge is confident Leko will be released on Thursday. Delferiere and Vertenten were considered Belgium’s two top referees, but local media reports suggest they had links to Bayat. UEFA had appointed Delferière to referee Saturday’s Nations League match between Georgia and Andorra, but the governing body has replaced him with Cypriot Leontios Trattou. The federal prosecutor indicated that some matches in the 2017/18 seasonmay have been the subject of match-fixing. The relegation match between Eupen and Moeskroen caused consternation in Belgian football circles: Eupen scored four times in the last 15 minutes to avoid relegation on goal difference, with KV Mechelen dropping out of the topflight. In the 2016/17 season Moeskroen also came back from the brink, winning 0-2 against KV Kortrijk on the last match day, at the expense of Westerlo, who were relegated. Bayat had players of both Kortrijk and Moeskroen under contract. Westerlo alerted the sports fraud unit about ‘suspicious behaviour’, but didn’t press formal charges. In 1982 Standard Liege and Thor Waterschei were involved in the last major match-fixing scandal in Belgium. Standard won the game and the league, but had approached the Waterschei players beforehand. As a consequence, Roger Petit, coach Raymond Goethals and senior player Eric Gerets, Jos Daerden, Walter Meeuws, Theo Poel, Simon Tahamata, Michel Preud’homme, Gerard Plessers and Guy Vandersmissen were suspended for varying periods. Belgium were deprived of some key players at the European Championship in 1984. In a reaction, the Belgian Football Association, the KBVB, expressed grave concern over the situation. “This is disturbing for the image of Belgian football,” said Pierre François, CEO of the Pro League.